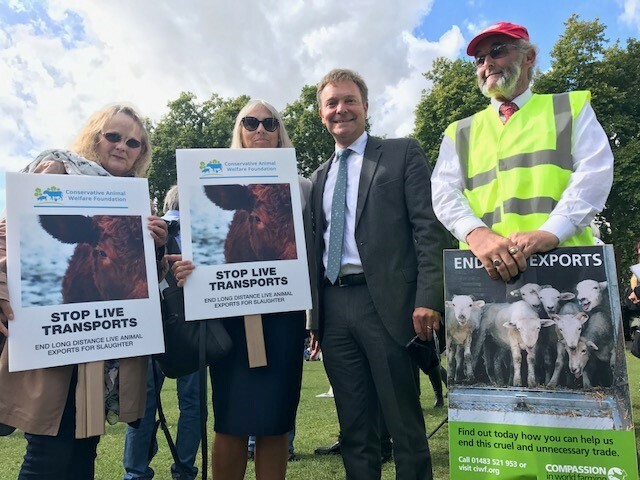 The Government has assured Craig Mackinlay MP that the proposal for a ‘Common Rulebook’ on goods will not fetter the UK’s ability to ban live animal exports for slaughter from January 2021 once the Implementation Period has ended. Mr Mackinlay sought the assurances from Rural Affairs Minister, George Eustice MP, after the Chequers’ Agreement, negotiated by ministers at a Cabinet ‘away day’ two weeks ago, suggested that there could be no derogation from the Common Rulebook without ‘consequences’. Mr Eustice confirmed that the Government’s proposal for a Common Rulebook only relates to those technical and product safety rules necessary to provide for a frictionless border. The proposal does not extend to wider single market legislation, nor animal welfare, and would not affect the UK’s power to restrict or ban live animal exports. The clarification was issued last night as the Taxation (Cross-border Trade) Bill - also known as the Customs Bill - passed its remaining stages in the House of Commons. Mr Mackinlay tabled and spoke to an amendment during the debate that committing the Government to having a separate VAT regime from the EU was also narrowly passed by MPs after receiving Government support. The country needs the Customs Bill to ensure the UK can operate a fully functioning and independent trade policy after the UK leaves the European Union. “I welcome the clarification from Defra Minister, George Eustice MP, that the Government will be able to control the export of live farm animals for slaughter post-Brexit, particularly as the live animal export trade in the UK is now wholly focused on Ramsgate in my constituency. “Similarly, I am pleased that my Amendment to the Customs Bill committing us to having a separate VAT regime from the EU was accepted by the Government and carried by MPs in a vote. We need flexibility on VAT outside the EU so that we can apply a new zero rate to sanitary products, or abolish them all together - something we, as an EU member, are currently prohibited from doing - and should not have to beg for VAT changes.